Madhya Pradesh’s Rewa was a princely state during the British rule, but today is one of the most prominent cities of the state. It’s historical heritage along with gorgeous natural surroundings such as forests, waterfalls, rivers and lush greenery, make it a rather interestingly off-beat place to visit. Situated on the north-western side of Madhya Pradesh, Rewa’s claim to fame was being home to Mohan – the world renowned white tiger. Since it was in the forests of Rewa that the first white tiger in India was found, it is also known as the ‘Land of the White Tiger’. 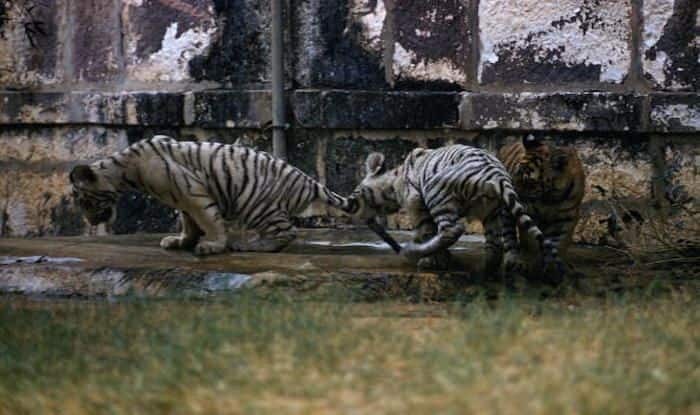 The lineage of those rare white tigers in India grew, thanks to the soothing climate and abundant greenery here. You can spot the big cat at the Mukundpur Zoo. The town is surrounded with dizzyingly high beautiful waterfalls like Keoti, Purva and Bahuti to name a few. Bahuti is said to be one of the highest waterfalls of the region at 142 metre. Along with these, Rewa has protected its glorious history in the form of ancient monuments and carvings, like the 35 ft. reclining Bhairav Baba statue. It is a rather special attraction because it was sculpted out of a single rock. Centuries old buddhist stupas belonging to the Mauryan Age also find home at Deur Kothar in Rewa. A visit to the majestic Govindgarh Palace is a must again. It was built by the king of Rewa in 1881. It was built on the shores of the beautiful Govindgarh lake, that makes for a great attraction today due to the natural surrounding. The first white tiger, Mohan, was housed here after it was found in the adjacent forest in 1951. Don’t miss the primitive architectural style and in-house museum called the Baghael Museum. There are also famous temples inside the palace. A trip to Rewa can’t be complete without visiting the Rewa Fort. It is one of the finest forts in the state and is a proud symbol of the cultural traditions of the state. Interestingly, for a regal experience, you can also stay here, as accommodation is available within the fort. The nearest airports to Rewa are Khajuraho about 165km away, Jabalpur approx. 230km away, and Bhopal.